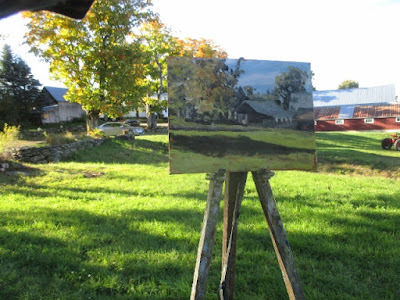 Matt Chinian Painting Blog: Wellman Farm day 2: the light returns. 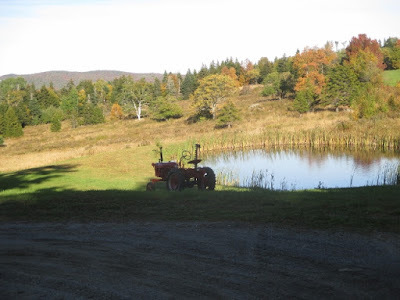 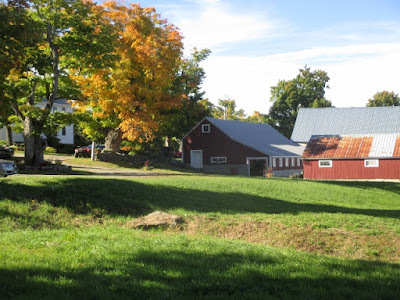 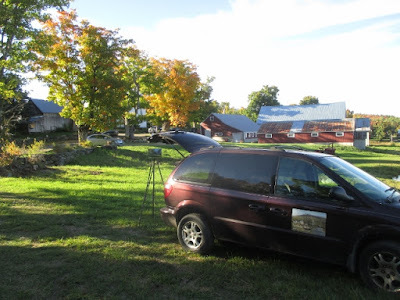 Hope and I went to Wilmington, Vermont to wrap up the open studio at the Wellman Farm. 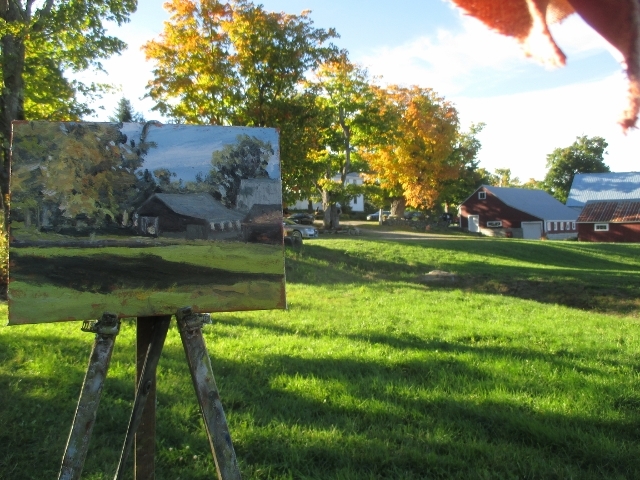 When the sun hits the orange-yellow trees it's magic. There were complexities with this scene that I wasn't ever to get a hold on. I'm usually able to deal with lots of things and simplify, that didn't happen here , I don't know why. 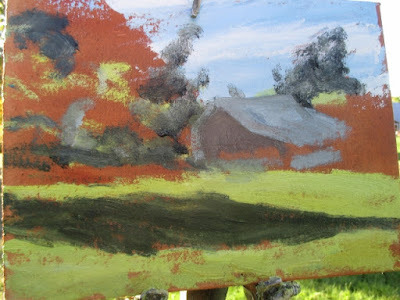 The light got more intense as the session went on, and that made the contrasts increase, but it was hard to chase. The "Money Shot " from today. 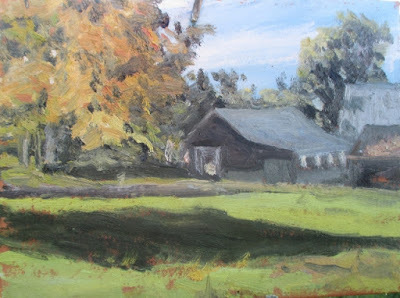 The farm has lots of fantastic places to paint, and the owners are wonderful, they've created a place with a great vibe. I didn't sell anything, but it didn't matter, because it was such a nice experience. 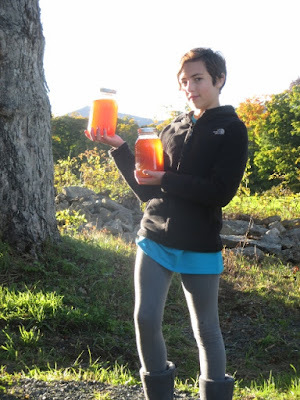 While I painted Hope helped make cider with one of our hosts, and we were sent home with fresh cider and apples, yum!